The Canada based company Intrinsyc has announced the Open-X 8M System on Module (SOM) a month ago. Now Open-X 8M is followed up with a Mini-ITX form factor Open-X 8M Development Kit build. The kit includes a GbE port, dual USB 3.0 ports, M2 expansion, and much more user-friendly features. 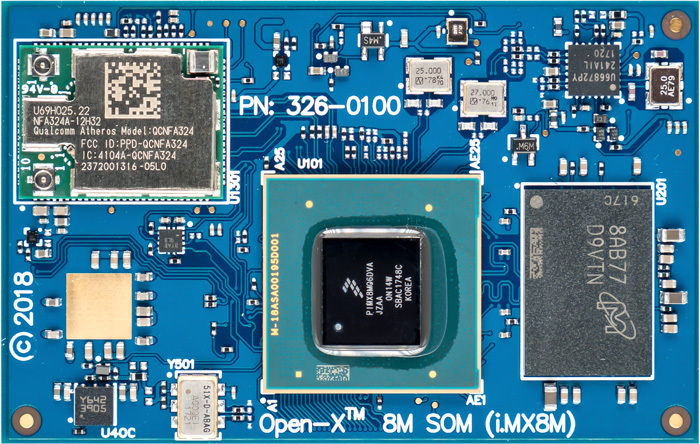 The Open-X 8M SOM can run Linux and Android 8.0 on the high-end Quad model of the i.MX8M, the same model used by most of the other i.MX8M boards. The i.MX8M Quad has 4x Cortex-A53 cores, single 266MHz Cortex-M4F, VPU, and Vivante GC7000Lite GPU chips. These CPU cores can be clocked in the range of 1.3GHz to 1.5GHz. The Open-X 8M SOM comes with 3GB LPDDR4 RAM and 16GB eMMC. It includes a wireless module with 2.4/5.0GHz 802.11a/b/g/n/ac with the support of 2×2 MU-MIMO and Bluetooth 4.1. A Gigabit Ethernet controller is also there for wired connectivity. Visual output is available with the help of the module’s 3x 100-pin connectors. There is also support for HDMI 2.0a for up to 4096 x 2160 at a 60Hz resolution and 4-lane MIPI-DSI for up to 1920 x 1080 at 60Hz. There are also dual 4-lane MIPI-CSI2 camera inputs. The Open-X 8M SOM is moreover equipped with 2x debug UART, 2x USB 3.0, 4-bit SDIO, JTAG, and PCIe Gen2 additional I/O ports. This 3.3V module has an NXP PF4210 PMIC, and it can operate in 0 to 70°C temperature range. 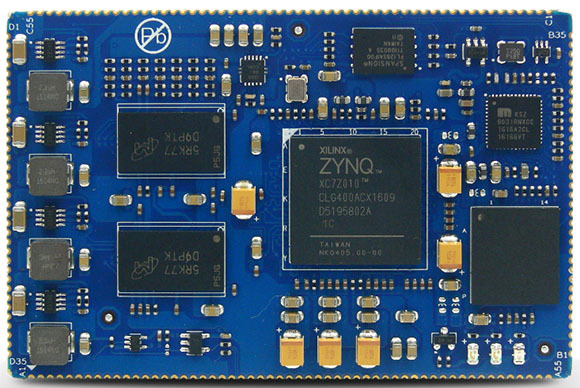 The Open-X 8M SOM is the heart of the new Open-X 8M Development Kit. It has a footprint of 170 x 170mm, which classifies as Mini-ITX form factor. 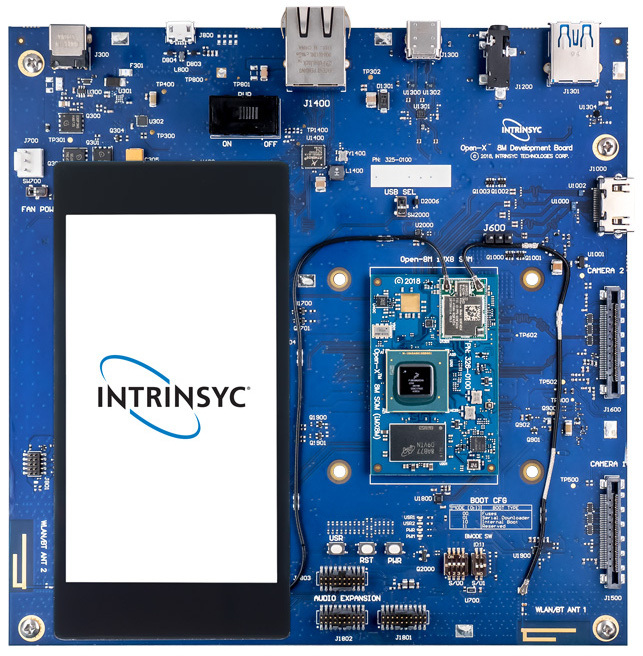 The board has a MIPI-DSI connector and choice for mounting an optional, smartphone-sized Open-X LCD/Touchscreen is available. 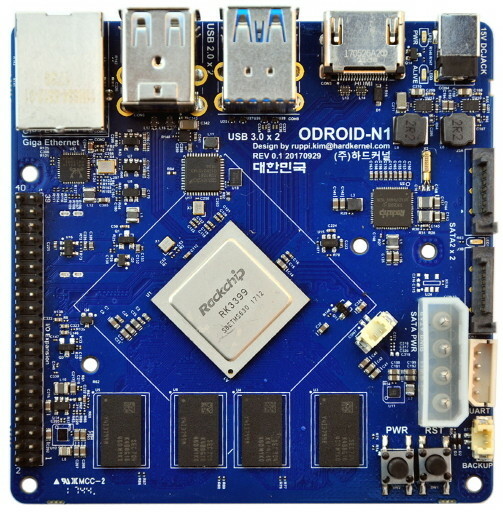 The Open-X 8M Development Kit includes USB 3.0 host, USB 3.0 Type-C, and HDMI 2.0a ports, as well as a microSD slot. A GbE port is available as an alternative to the module’s WiFi. There’s also a 3.5mm audio output jack. Dual MIPI-CSI2 connectors support is available for optional camera module attachment. 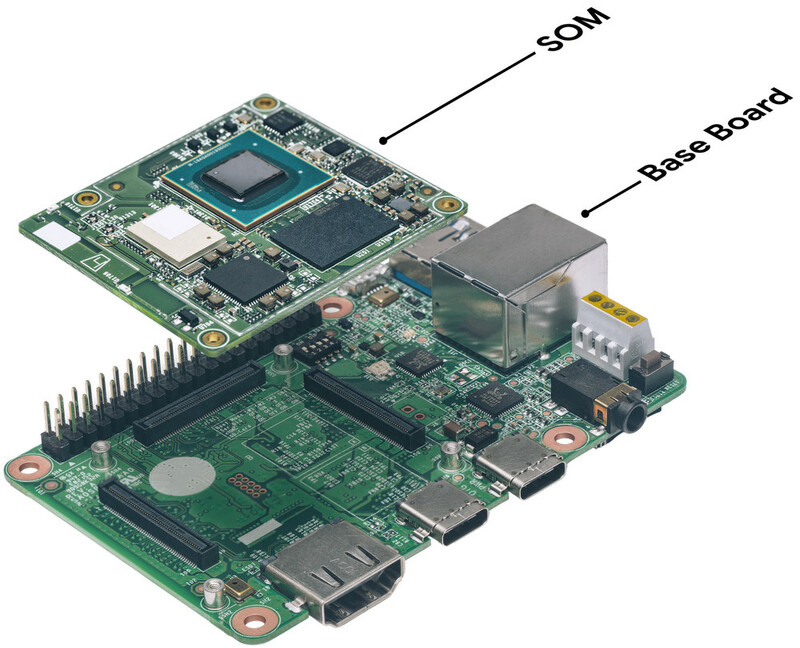 The Open-X 8M SOM and Open-X 8M Development Kit are available now. Though, pricing information is not available yet. More information may be found at Intrinsyc’s Open-X 8M SOM and Open-X 8M Development Kit product page.